Even though he hasn’t been with the Mariners for very long, Robinson Cano has still been able to make a tremendous impact on the M’s organization. In honor of his nomination into our M’s all-time roster and all that he’s accomplished in a Mariners uniform so far, here are Cano’s top-three best outings of his career. 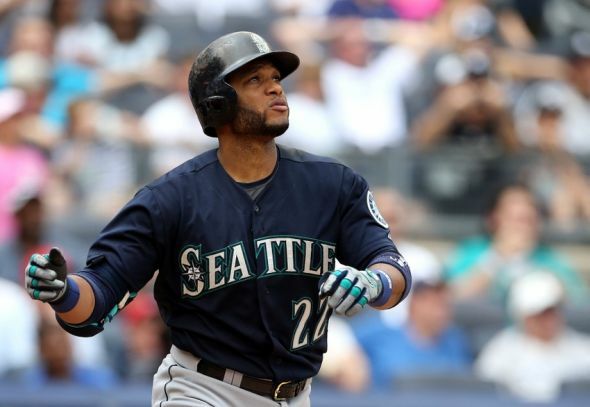 It’s rare that a player’s past, present and probable future stats are all equally hall of fame worthy, but when it comes to Mariners second baseman, Robinson Cano, that’s exactly the case. Before Jay-Z brokered an outrageous 10-year deal for 240 million dollars for Cano to join the Mariners, Cano was tearing up the AL East with the New York Yankees. On 74 occasions he faced his current team and hit the M’s pitching with ease. Of the 15 teams that Cano has played against for at least 50 games against, he has the 5th highest batting average versus the Mariners. He also managed 50 RBI and seven home runs against the M’s which ranks him 11th and 15th respectively among all of his past opponents. But we’re not here to talk about how Cano hurt the Mariners, we’re here to discuss how he helped them. More specifically, breaking down his three most helpful (or in this case, his best) games with the Mariners. 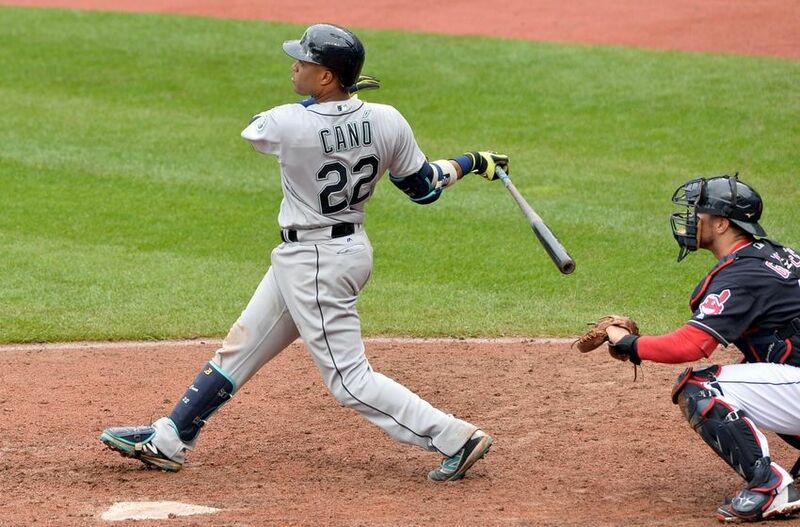 We have selected what we believe is Cano’s top three outings in an M’s uniform based on how many hits, runs, and RBIs he had that day, and the magnitude of his performance in relation to that game on the offensive and defensive side of the ball. 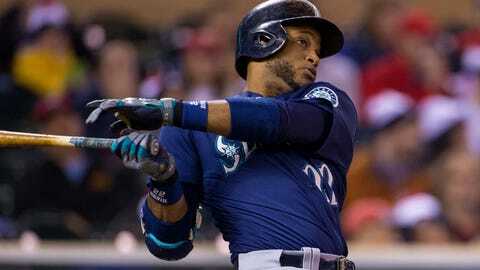 Enjoy reliving the early magnificence of what is sure to be a long and storied career for Robinson Cano with the Seattle Mariners. 2014 was one of Cano’s worst years in terms of power since his early days with the Yankees. His 14 home runs tied his lowest total of his career in one season and was the least he’s hit since 2008. His 82 RBIs were also the fewest he’s driven in since that 08′ season. Nevertheless, Cano did manage to squeak out a couple of magnificent games that year. This late 2014 example happens to be the day he had his most RBIs of the season. Coming into this early September matchup, The Mariners were just a half game back of sitting in an AL Wild Card spot. The M’s came into the four-game series with their slumping division rivals, the Texas Rangers, on a three-game win streak -Texas had lost six straight. After he crushed a line drive to deep center that was caught steps in front to the warning track in the 1st, Cano would make sure to put the ball in play his next two at-bats. In the 2nd, after the Mariners had already scored a couple of runs off singles, driving in runners who had been walked, Cano extended the 2-0 M’s lead with a base-knock to bring in the hustling, Jesus Sucre, and Austin Jackson. In the 3rd, he would deliver another blow to the Rangers, this time smashing a double that split the gap between the centerfielder and rightfielder scoring two runs, extending the Mariners lead to 9-0. Cano’s RBI parade cooled down in the later innings and he was eventually swapped out for Brendan Ryan in the 7th. Cano Finished the day with 4 RBIs off two big hits and he scored a run. His performance was overshadowed by the Mariners 10-2 rout of the Rangers, but it was arguably his best outing of his inaugural season in Seattle. Two games after the 2015 MLB All-Star Game, Cano was ready to start his 2nd half of the season with a bang. His 1st half was lackluster by all standards. He had only hit six home runs and driven in 30 RBIs and was hitting .251. After his triple-slash of .287/.334/.446 in 2014, those type of numbers weren’t going to cut it. As our own, Colby Patnode, emphasized, Cano was battling two sports hernias in the back half of 2015. 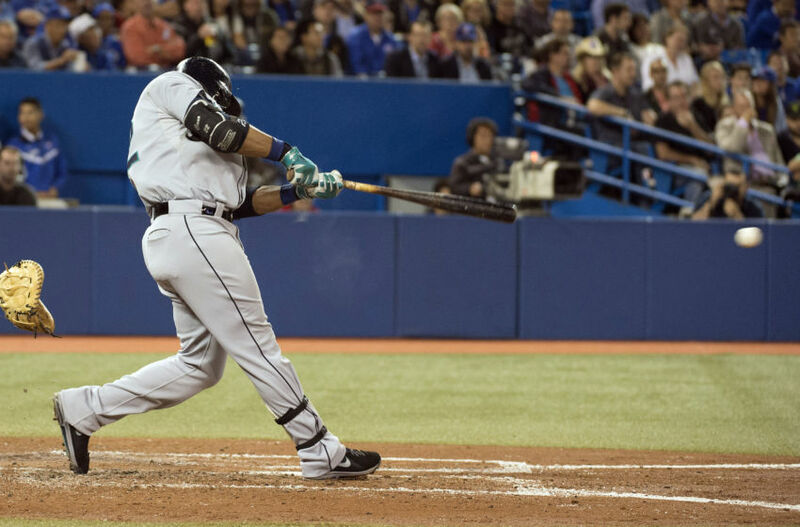 That didn’t stop Cano from having one of his best halves in an M’s uniform thus far. Cano was facing his former team in Yankee stadium for the 2nd time since he came to Mariners, which surely motivated him to make the Yanks front office regret letting him go. Cano didn’t hesitate to make the Yankees pay. In his first at-bat in the 1st inning, Cano crushed a two-run shot to center, bringing in Kyle Seager. It was his first home run in his old stomping ground and his second against his former club. In the 3rd, Cano reached base for the second time via a single, but he had another big punch to land on the Yankees. In the 6th, Cano blasted another shot into the stands, again scoring himself and Seager. More importantly, it put the Mariners up 4-2, giving his new team enough of a cushion to ride out the day with a victory. The Yankees would make the game interesting, putting two runners on base in the 9th before one of them would score to cut the lead to 4-3. But the M’s closed the game out. Cano’s two home run day was his first since July 1st, 2013 and it is still tied for the most he’s hit in one game in a Mariners or Yankees uniform. Since arriving in Seattle, Cano has had seven multi-home run games and has knocked in four or more runs eight times. Despite two sports hernias, Cano began to prove what he’s capable of in a Mariners uniform in 2015. It turned out that his 2nd half production of 15 home runs and 43 RBIs all while batting .331 was just an appetizer to the entree that was all of 2016. 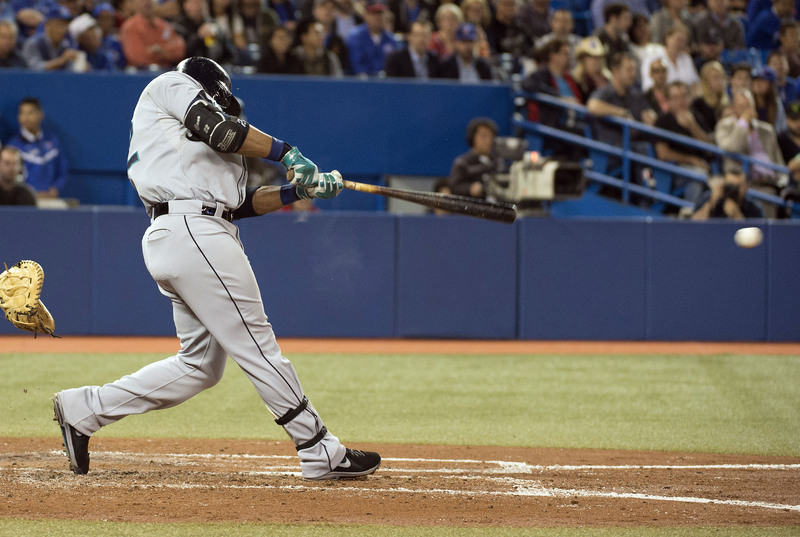 Cano started off the 16′ season with all-star quality. His eight home runs tied with only Josh Donaldson for the most in the American League and his 24 RBIs led the AL outright ahead of Donaldson’s 20. In arguably his best game in that first month of this past year, Cano would not only have a powerful offensive outing, but he would also come up clutch to keep the Mariners on their win streak. The first half of Cano’s day was fairly unspectacular. He would single in the 1st, lineout in the 3rd and then draw a walk in the 4th. The single and the walk would help pad his stats for the day, but his most meaningful hit was yet to come. In the 6th, Cano began to heat up as he blasted a double off the leftfield wall bringing in Nori Aoki for his first RBI and first extra-base hit of the game. In terms of the score, Cano was sending home the Mariners 6th runner and extended the lead to 6-3. In the later half of the ballgame, things started to get away from Cano and the Mariners. First, Cano grounded into a double play in the top half of the 8th, and then in the bottom of the frame, the opposing Cleveland Indians tied the game off a Mike Napoli two-run shot. The game would head to extra innings. It didn’t take much time into free baseball for the Mariners to right the ship and retake the lead. The Mariners benefitted from the unlikely wild play of the Indians closer, Cody Allen, putting two men on board from his walks. That set up an opportunity for Cano to put the Mariners on top, and boy, did he do that in a big way. On the very first pitch he saw from Allen, Cano obliterated the dead-center fastball to the farthest part of the outfield and made it disappear in the trees behind the centerfield wall. The win extended the Mariners win streak to three games and Cano’s big day was more of the same from the red-hot star. That’s a wrap on the best from Cano in his early exhibition in a Mariners uniform. With seven years left on his contract, this list will most assuredly have to be redone when his career is over, but we’ve got plenty of time to bask in his glory until then. If you liked or disliked the games we listed, let us know in the comments section below or let us hear what you have to say on our Twitter feed SodoMojoFS. Next up, on February 9th, we’ll cover who the Mariners all-time great shortstop will be. Stay tuned to find out who we selected.